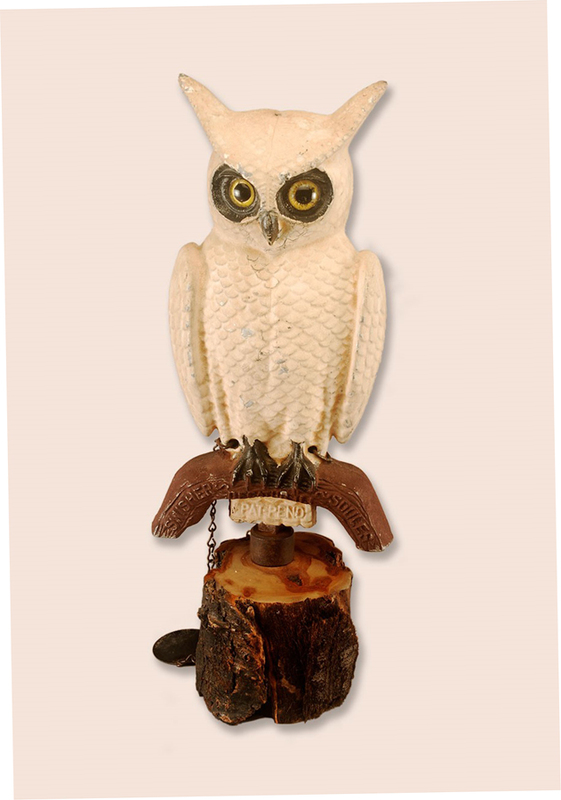 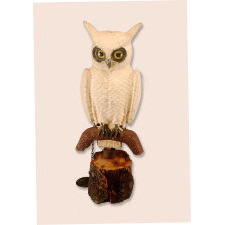 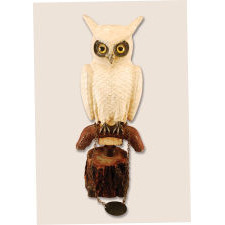 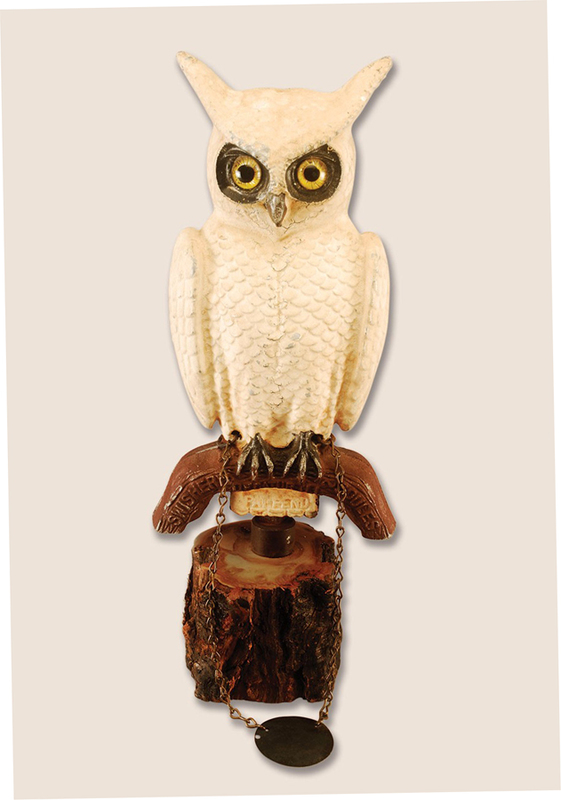 Painted cast aluminum 2-sided fence post owl decoy in strong original paint. 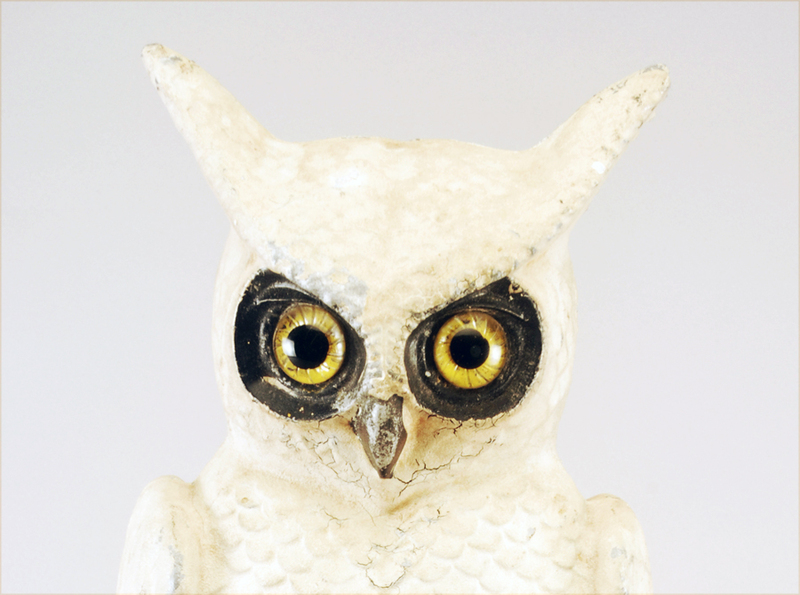 Minor flaking and in-use wear. 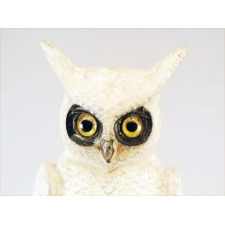 Only the second example we have handled with its original tin sunlight reflector (to attract crows).